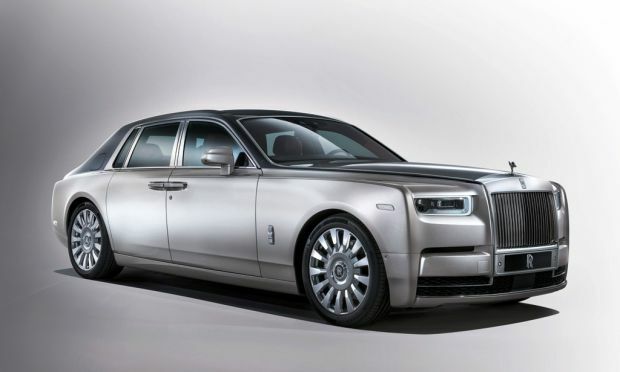 The all-new aluminium ‘Architecture of Luxury’ underpinning New Phantom ensures the architectural and proportional lineage of Rolls-Royce while delivering a whole new level of ‘Magic Carpet Ride’ because it is lighter, stiffer, quieter and more technologically advanced. The Suite’ re-defines Rolls-Royce comfort and refinement inside – already the benchmark for any mode of conveyance. ‘The Gallery’ is an unprecedented new concept in luxury. Reinterpreting the motor car’s dashboard for the first time in 100 years, patrons will be able to commission a truly individual work of art that spans the width of The Gallery in their New Phantom. All new 6.75 litre twin-turbo V12 engine is the silently beating heart of New Phantom which is the most technologically advanced Rolls-Royce ever. Jaguar reveal fastest XJ: 0-186mph in 44 seconds!